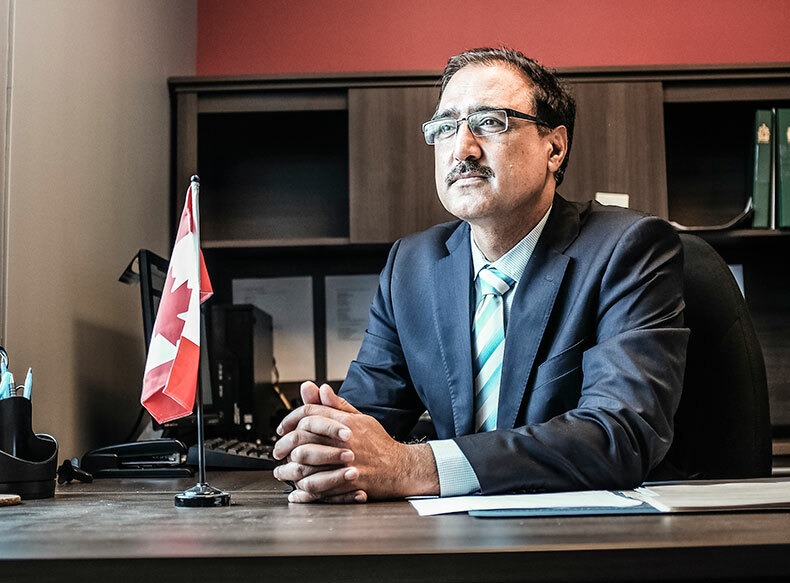 It’s very fitting that Amarjeet Sohi’s official job title in Prime Minister Justin Trudeau’s cabinet is Minister of Infrastructure and Communities. After all, staying connected with communities – especially the ones he represents – is something he feels is a big part of being a good leader. After serving three terms on Edmonton City Council, Sohi was elected to the House of Commons in 2015 to represent the riding of Edmonton-Mill Woods. Between that and his cabinet position, his schedule is hectic, spending a lot of time in Ottawa and in other municipalities across the country. But it’s very important to him to be back in his constituency on a regular basis, making sure the people he represents feel like they are heard. ALBERTA TOOLBOX: What is your definition of leadership? AMARJEET SOHI: There are various ingredients that go into good leadership. One is collaboration with the people you work with, listening very carefully to what people say, what the people you work with, your partners, say, and trying to build consensus around moving forward on issues. That’s what I have been able to [determine] over a number of years in my roles, first as a union leader in transit and then as a city councillor. I don’t believe in individualism; even though individuals make an impact on a community through their individual initiatives, that result is greater and more profound when you work as a collective. TB: As you were growing up in India, who did you look up to as a leader? AS: In my life, my family has shaped who I am. My parents, I grew up watching them work really hard on the farm and in the village. I’m the youngest of five siblings, so I watched my brothers and sisters look after the needs of the house. Sometimes people look for role models in a way that somebody really stands out. For me, the everyday folks you’re surrounded by are what influence you, and the people who shaped me as an individual are my family. TB: When you were on Edmonton City Council, who were the leaders you looked up to in that role? AS: I was very much influenced by some of my colleagues on different issues, the passion and the initiatives they took on those particular issues. But when I was working with [former mayor] Stephen Mandel, I really liked his approach on city building, with an emphasis on downtown and building buildings that actually mean something to people, that really stand out. TB: And now in your role with the federal government, who do you look to there? AS: We have a strong group of people in the cabinet who come from very diverse backgrounds, who are leading very difficult files. There are many people I look up to in the cabinet. TB: Part of leadership, especially in government, is making tough decisions. When you’re faced with a tough decision, what’s the process you go through? AS: First of all, I make decisions based on evidence and good information. Doing your homework before you walk into the meeting is very important. The other aspect is setting priorities. There are so many things that need to be done, but there is a limited amount of time to accomplish those things. So prioritizing means making decisions on things that will move to the sidelines because there are other things that need to be done that are more impactful for people, more necessary. TB: What advice would you have for people who are looking to develop or enhance their own leadership skills? AS: Sometimes people say that leadership comes naturally. But, in my opinion, leadership evolves; you grow to become a leader. Take the initiative, and don’t be afraid of taking chances. And surround yourself with the right people: an important part of strong leadership is not being afraid to surround yourself with people who are stronger than you are, people who might have bigger, brighter ideas than you have.